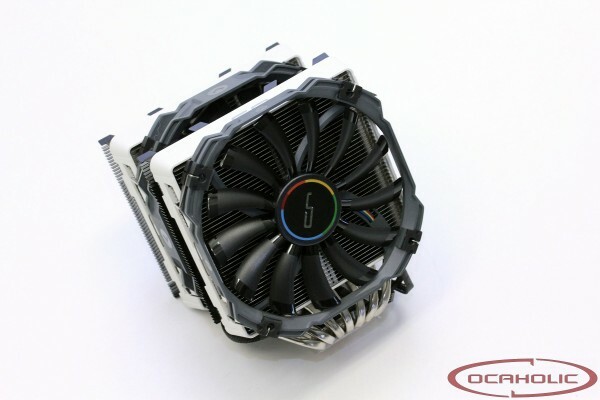 Cryorig is one of the newer cooler maker on the market, which is trying to earn a reputation with high quality products. According to the manufacturer, this cooler is not just to look impressive but also to perform excellent. Therefore we're twice as curious to find out what Cryorig is capable of with the R1. 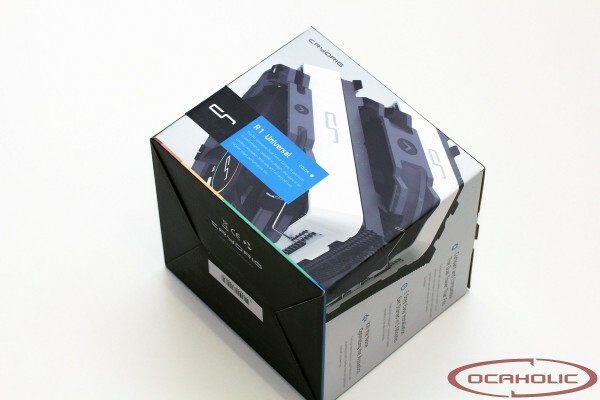 Today we are taking a look at Cryorig's latest tower CPU cooler, the Cryorig R1 Universal. This particular model is based on a twin-tower design. Other than that there is a nickel-plated copper base connected to the heat-sinks via seven 6mm cooper-heatpipes. Fresh air comes from one 140 x 140 x 25 millimeter as well as a 140 x 140 x 13 millimeter PWM fan. Both the base and the heatpipes on the Cryorig R1 Universal are made from nickel-plated copper. It features seven heatpipes which are not in direct contact with the CPU but have been routed through a copper base. The Cryorig R1 Universal features dual-tower heatsink design in order to have more surface area which in the end usually means better heat dissipation and of course higher airflow efficiency. There are two large PWM fans where the one inbetween the two towers measures 140 x 140 x 25 millimeter and the other 140 x 140 x 13 millimeter leaving that bit of extra space you need to not run into memory clearance issues. When it comes to rotation speeds, max RPM is 1300 for the two fans. Both heatsinks are made from aluminum and as you can see, it is clear that this is quite a big CPU cooler with dimensions of 168 x 140 x 128.5mm. The manufacturing quality is definitely on a high level. The box is made out of solid cardboard and although it is only protected by a plastic shroud our sample arrived without a single dent or any damage whatsoever. Everything has been put perfectly in place. The mounting components for example come in a separate small box. The bundle includes all installation manuals for different sockets and there is also a syringe in the delivery which contains high-quality thermal compound. Apart from that there are two the fans and of course the tower heatsink itself.